For those on the coalface of health, it’s no news that the way we deliver healthcare has to change. The unsustainability of our current approach is manifestly evident. They speak of being over-run and overwhelmed, of being inundated with “GP stuff”, of “diabolical” dental issues, the end results of chronic illness, of social-related ills like domestic violence and alcohol abuse. 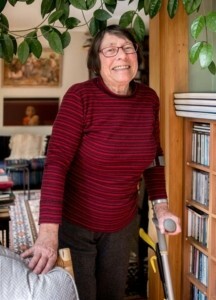 They note the overflow from private residential aged care, where there’s no after-hours medical provision – “come 5pm or on any given weekend these patients become the hospital’s problem.” And they point to issues of access and affordability, of inconsistencies across primary health and poor communication between agencies. All these issues that are highlighted in the DHB’s draft Clinical Services Plan (CSP), recently released for public consultation. Sue Revell, nurse practitioner and clinical coordinator in ED at HB Hospital, has 30 years’ experience in the field. When she arrived from the UK 13 years ago, ED was seeing on average 65 patients per day, with a 9-1 patient-nurse ratio, and she says she found the workload “huge”. The daily average has since doubled, and because increases in nursing staff and cubical capacity have not kept pace with the increase in presentation, patients now spend more hours in the waiting room, leaving one nurse to manage the needs of 15+ patients at any given time without adequate resources. While she says the CSP “makes perfect sense, it’s a beautiful document,” she’s sceptical about whether it will translate into change on the ground. And it’s scepticism, or a certain jadedness, I meet with almost everyone I interview. Sue says it’s not enough to look at the crowding in ED and say the patients should all be at their GPs. There’s a general lack of adequate health understanding and knowledge of the health system, for starters. But often they’ve already been to their GP and been sent on due to pressures, not having facilities, needing specialist services, or haven’t been served well in the past. There are a lot of inconsistencies in the capabilities and service provision of general practice. “The GP might be the best place to send your patient but what if they can’t afford it?” It can cost $70 to see a GP (if it’s after-hours and you’re not enrolled in the medical clinic), with additional costs for treatments – in ED it’s all free. Sue says while cost is a huge barrier, accessibility is just as influential. “Can you get an appointment when you need it, which is usually today? You might not need it clinically, but it’s another day off work, because you’re not feeling very well or you need it sorted and now you’ve got the opportunity to do it. The rise of living costs is compounding the situation, as too job insecurity and poor housing. She says patients often don’t have any sick days and can’t afford to take time off to give their injury or illness the due recuperation required. These are the impacts of poverty and the statistics that disproportionately affect young, Māori and Pasifika families. At the other end of the spectrum of pressure (with our aged population set to double over the next decade), 80-year-old Marie Dunningham is recovering at home from a hip replacement. The former Plunket nurse and Grey Power secretary says, “The only time you get good service is when you’re deteriorating at a fast pace, or if they stuff up,” which happened in the case of her husband’s unchecked diagnosis last year. She believes if she’d had surgery five years ago, she would have recovered quicker, with a better chance of returning to being a productive member of society. “They wait until it’s too late.” As the CSP outlines, earlier interventions (and preventions) will lead to faster turn-around and ‘bounce-back’, incurring less overall cost. “That has to make sense,” says Marie. 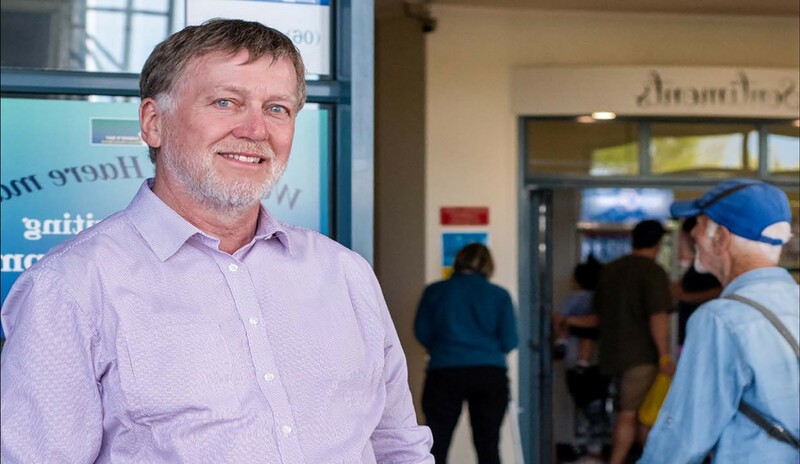 The DHB representatives I speak to, CEO Dr Kevin Snee, Dr Colin Hutchison and secretary Ken Foote, say there’s broad recognition, not just locally, but internationally, that health systems need to do far more outside of the hospital than in it. By way of example, Snee points out that 16% of New Zealanders will experience mental health issues at some point in their lives, and yet, mental health services currently only cater for 5%. Those with mild to moderate mental health problems receive limited support; indeed there’s “not much in the way of public treatments even for relatively severe cases”. And that’s reflective of the broader plan, which is about what the DHB and its health partners are going to do over the next 10-15 years. Once the concept of ‘directional change’ is approved (December, all going well), an ‘implementation plan’ will be developed, with a staged approach, and alongside that Snee says the DHB will be working to make their case to central government for additional funding ($300-400 million) to upgrade the hospital, which is no longer fit for purpose. Looking at workforce requirements (such as more mental health practitioners) and IT “to support the model going out” will be a key focus. 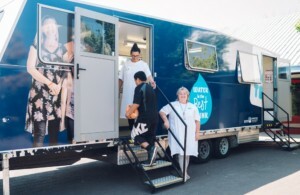 As to how change might look, Snee brings up the Havelock North water crisis, during which, by necessity, general practices in the area “adapted really quickly to work in a different way” – they used the telephone more to consult and triage patients, delegated certain treatment procedures to nurses, made use of community pharmacists. And some of that has continued on. Last year the Community Pharmacy Contract introduced more community flexibility to the way services can be commissioned and run, and the DHB is rethinking the way community pharmacists can work as part of the health system, says Snee. “What you’ve got in community pharmacies is an under-utilised, highly trained group of clinical professionals”, who in the past spent a lot of time counting out pills. With robotics on the horizon, the move by supermarkets into the pharmacy space, and a profession that’s relatively young (average age: mid-30s) and female, there’s appetite to develop new roles. Pharmacists could become the first-point of call for minor ailments and “the whole nine yards”. Evidence from elsewhere indicates that if primary care is broadened out, providing ready availability and same-day access, then the pressure on ED services is bound to decrease. Similarly, Snee wants to make sure that those things that really need to be done in the hospital are high quality and efficiently done. He notes that surgical procedures are becoming less and less invasive and rehabilitation services work to get people back onto their feet as quickly as possible to counter ‘PJ paralysis’ – the rapid deconditioning that happens for patients left sitting in bed. If you’re registered with a GP, good for you; if not, best of luck. Many general practices no longer take new patients, most have waiting lists. GPs are also an ageing force. At the Hastings Health Centre, there are at least four GPs who’ll retire within the next 5-7 years. “There’s no guarantee we’re going to be replaced,” says Dr Alan Wright. He says, while Hastings Health Centre is already making changes to its model, employing nurse practitioners and primary care assistants (who are not fully trained doctors) to take up certain elements of urgent care, it’s still contingent upon GPs being “the default situation”, both for patients as well as for the professional oversight. Many will argue that this is exactly what needs to happen – a radical, fundamental overhaul. But whether there is the willingness and the foundation of trust required is questionable. For those in the ‘trenches’ – the nurses, GPs, patients like Marie – it’s difficult to imagine the plan having any teeth for change if it isn’t properly resourced, and funded. They tend to be sceptical about the DHB’s intention to redeploy funds as just another exercise in cost cutting. But for those involved in the big picture perspective, who are looking with an eye to systemic change, which is what this plan signals, we don’t require more dollars, but better use of the ones we have, as Snee commented above. Over 80% of our health spend now is on long-term conditions, and as Norton points out, “the drivers are not in health at all … Income status, behaviours, social connectedness, housing, etc – it’s these social determinants that determine your degree of wellbeing.” Shifting focus to a more holistic approach sits at the heart of the government’s ‘wellbeing budget’, he notes. Currently, explains Ritchie, health is streamed, and it’s a vertical, top down direction, creating very siloed approaches, “because that’s the way the money flows.” But people don’t move like that – their needs are eclectic and ranging. We need a more horizontal, across board approach, with a focus on different demographics (youth, men’s health, older populations, etc), rather than on services, per se. What’s identified as important to Māori in terms of health, is often whānau, whānau relationships, culture, says Barber, with the patient and the health practitioner communicating on equal terms, not in a hierarchical doctor-patient paradigm. Health Care Home, a NZ primary healthcare model tabled in the CSP for Hawke’s Bay, incorporates aspects similar to the Nuka system: holistic, person-whānau centred, wrap-around care. Barber sees this as a “major development”. 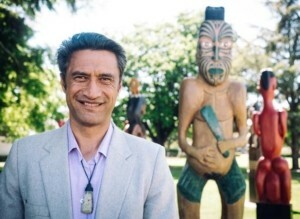 Dr Taemumu Richardson has a wide spectrum of GP experience in both rural and urban communities, including working for Māori health providers, and has been on both the PHO and DHB’s clinical councils. When we meet up, she hands me a post-it note: The differential access to the goods, services and opportunities of society. “That’s a definition of racism,” she explains, and for her, that’s the white elephant in the room. As she sees it, the health inequities at the heart of the health system, consistently affecting Māori, are symptomatic of institutional racism and the ongoing legacy of colonisation. She says it’s a striking omission that neither word is mentioned in the CSP. Richardson says the CSP doesn’t acknowledge the work the health sector will need to do on those upstream determinants of health, beyond just clinical services, in order to have equitable outcomes. However, she does see a lot of positives in the plan. The CSP states an objective to have no difference in health outcomes between Māori and the general population – a pretty radical statement. She observes that you never actually see a goal of ‘no disparity’ written in an official document. Although we have all the evidence we need regarding health inequities, Richardson doesn’t think people really understand the level of unmet need in the community and the kind of investment and disinvestment that will be required. But doing this would require strong and consistent leadership commitments across the whole of Hawke’s Bay, “which is more than saying that on a document”. It would mean being clear about investing in young, poor, brown families, with health equity as a priority, having an understanding that institutionalised racism and colonialism are the barriers to us being able to realise that vision, and seeing that we all stand to gain a better health system, a more equitable society, if we address this. What’s become apparent to me through the prism of the CSP (a dry policy document), is that health is a much bigger conversation than ‘clinical services’. Like climate change, it’s almost overwhelming in the degree to which it permeates all aspects of our social structure and the extent of what needs to change on all levels. And it’s a conversation we all need to be having. The Clinical Services Plan is just that … a piece of paper. But most I spoke to agree that it’s a fairly bold first step down a road we have to take. No one disputes that we cannot continue as we are. And it’s not just the ‘system’ that needs to change. As individuals we must change how we frame health and partner in our own healthcare.